It’s been a long time between drinks here at alexandramathew.com, but fear not: life has been busy and there are exciting things on the horizon! Aside from submitting my Master’s thesis (hooray! ), I recently had the privilege of performing in BBC Planet Earth II Live at the Melbourne Convention Centre, alongside the Melbourne Pops Orchestra and Eric Bana. Scroll down for a little video highlight… What an amazing and wonderful event. 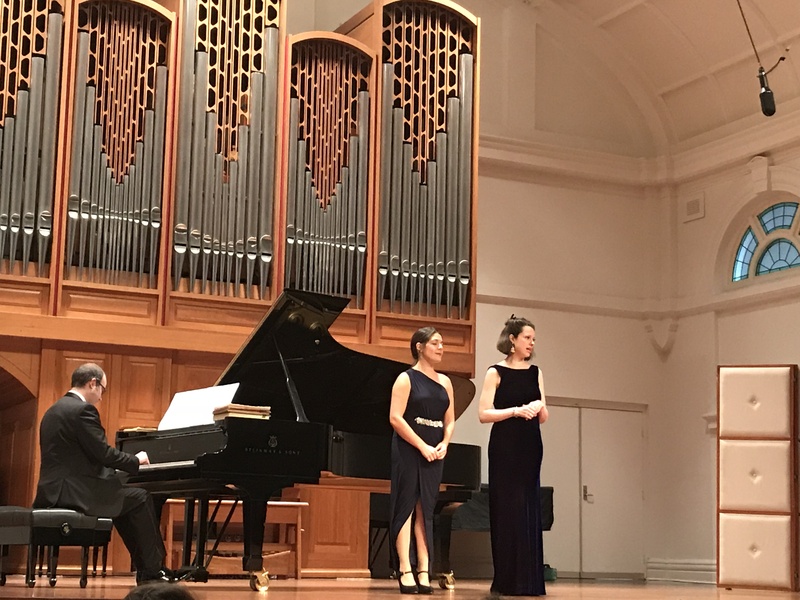 Coming up in July, soprano Jenna Roubos and I will be performing in the Melbourne International Festival of Lieder and Art Song (MIFLAS)from 7 to 13 July, for which we will participate in master classes with Graham Johnson and Stephen Varcoe. While we will miss singing with pianist Georgina Lewis (who will be busy taking Latvia by storm), we can’t wait to join forces with pianist Julia Hastings. Watch this space for more information! We were also thrilled to be finalists for the MIFLAS MCM Scholarship.